Visit Tequila, visit a Distillery, and Tlaquepaque: Art galleries and shops! On Historic district walking tour, The Chapala Lake and Ajijic.Visit Guachimontones Archeological and Magdalena / Tonala Market and Magdalena. Please include number of persons and your pick-up point. Minimum 6 people per group, based on two double rooms. Rates are per person based on double occupancy. Transportation will take place in a Mini-Van, Van or Sprinter, depending on the size of your (private) group. If you have less than 6 people in your group the rate for 6 need to be paid in total. All of these rates includes all taxes and fees, one, two or three nights of hotel (depending on the trip), breakfast for each night of the tour, all costs for private transportation like gasoline, bilingual private certificated guide /driver. 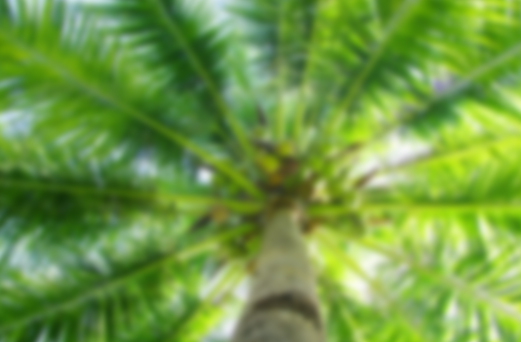 The pick up and drop off will be right at your hotel or condo. 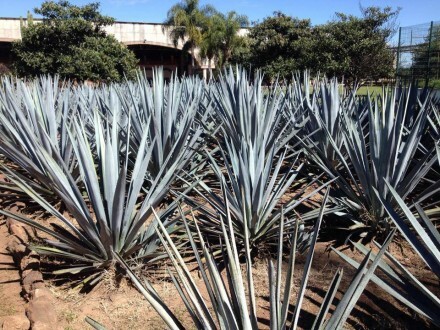 Not included in the tour: personal expenses, other meals than breakfast, and in case you decide to go to Tequila the entrance fee for the distillery is not included. 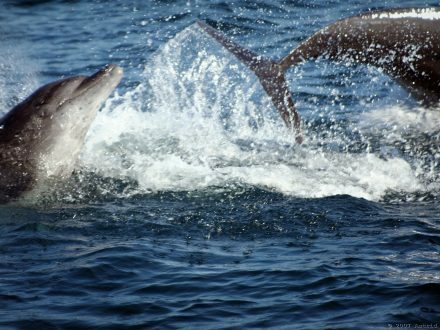 For the 3 day tour you can choose a similar trip as offered in our group tours. Please do be aware that we do have to check availability at the hotels and vehicles and guides. For the 4 day tour we recommend a visit to Mascota on the way back. All our vehicles are fully insured and have a/c. Our guides are all certified by the Administration of Tourism. Tour is in English, other languages on request in private tour only. 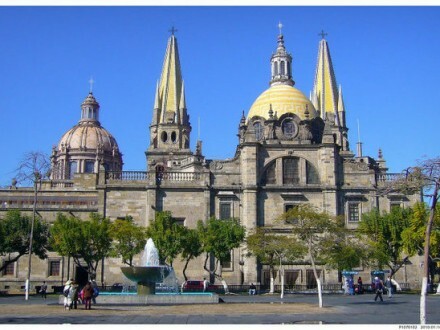 Do you prefer a private tour, with your friends or family only instead of a group tour to Guadalajara? We can arrange this! Spend two days/one night or three days/two nights exploring the best shopping, dining and cultural areas of Guadalajara and the area. Round trip transportation is included from Puerto Vallarta, Nuevo Vallarta or Bucerias. Hotels are included in the price. Daily American breakfast is also included, so no worries about where to go for breakfast. The departure from Puerto Vallarta is recommended to be at 8:00 AM, but as this is your private tour we can arrange another time as well. 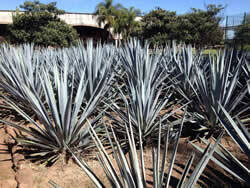 On our way to Guadalajara we can stop in the town of Tequila, Jalisco for a tour of one of the many distilleries. We can set you up with any distilery, such as José Cuervo, Herradura or Cofradia. ( reservations recommended). After the Tequila Tour we suggest to swing into Tlaquepaque for some serious shopping at the coolest shops, boutiques, markets and art galleries for everything from decor, to home furnishing, leather goods, clothes or whatever else you fancy. Next stop is the hotel of your choice (upon availability) where we will check in and relax. The rest of the night is free time, your guide will tell you all about the different choices of restaurants. Breakfast next morning is available starting at 7:00 AM when the restaurant opens. We meet in the lobby for a walking tour (included but optional) of the sites in the Centro/Historical district and get you oriented with the area. 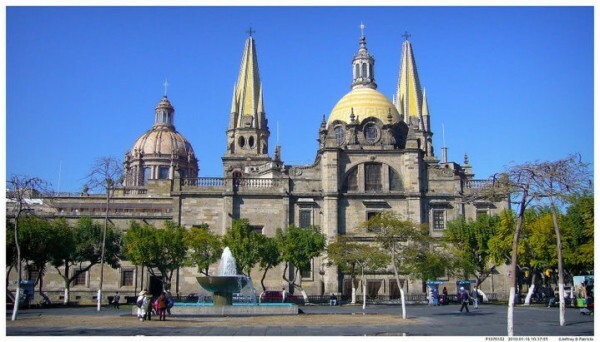 We will visit the Cathedral, the Government building with Orozco murals, plazas, Mercado and more. The tour is about 90 minutes, so you can use this time to keep walking with the map provided and explore the Hospicios de Cabanas (with the amazing murals by Jose Clemente Orozco) and the Mercado San Juan de Dios, the largest market in Latin America. Interested in Shopping? Visit Andares Mall, where you will find hundreds of shops, many restaurants, a movie theatre and a casino. This is where the “jetset” of Guadalajara goes to go out at night, it´s a great place for people watching! Visit Tonala, especially on market days; Here is where you will find a plethora of things from home furnishings, art, décor, glassware and everything in between at great prices, usually around 1/3 to 1/2 of the prices of the same items in Vallarta. Market days are Thursdays and Sundays. looking for cultural sites to visit? Visit Guachimontones, a beautiful archaeological site, where you will learn about ancient culture. Or visit Magdalena, famous town for the opal mines. On the way back we recommend to travel via Mascota, a very scenic road. Make sure to ask your guide! Looking for some nice villages close to Gualadalajara? Visit Ajijic and Chapala, around the Chapala lake. For the private tour we customize the tour completely to your needs, just let us know what would interest you most! 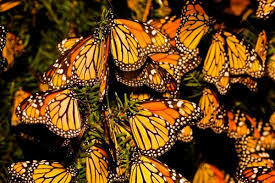 On the last day we will arrive in Vallarta around 6:00 -7:00 PM and needless to say, we will drop off at Hotel/condominium. Your choice of water or soft drink included during the whole tour and for the first day an optional lunch box is available for 100 Pesos, please reserve in advance. Did you know that Superior Tours Vallarta is the only travel agent in Puerto Vallarta that offers different tours to Guadalajara?